Mahjongg players and their new Mahjongg bags! 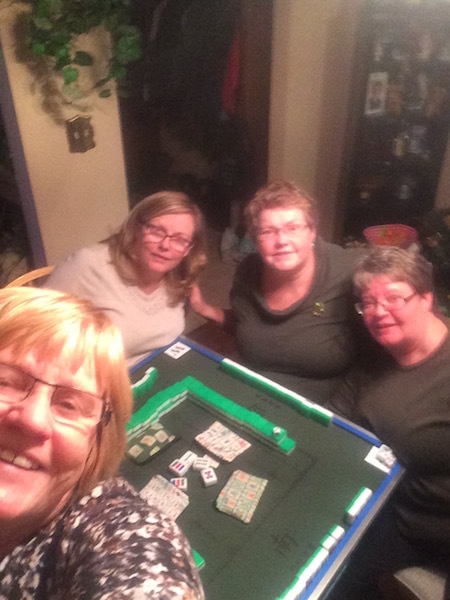 Many thanks to Laurie for sharing this great pic of her Mahjong group and their new Mahjong bags from Zoe's Bag Boutique. I have a selection of bags made with Mahjong themed fabrics and bags made to hold your Mahjong cards in a wide assortment of non Mahjong fabrics. I also have bags to hold your Mahjong tiles and the racks. Custom orders are welcome.